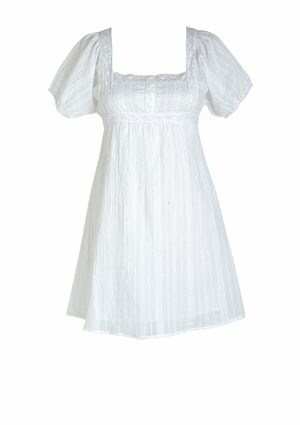 I kind of wish LWD’s were a more practical purchase because nothing looks better with tan skin and sun drenched hair in the summer than a white dress. The only problem is that for the plethora of summer weddings you have to attend you obviously can’t wear a white dress. Here are some white dresses that you can hopefully wear somewhere else this summer, like on a yacht, sipping mimosas with your friends.